I’m trying something new for this episode of the Read-Aloud Revival Podcast. Instead of interviewing a guest, I’m chatting with you one-on-one. 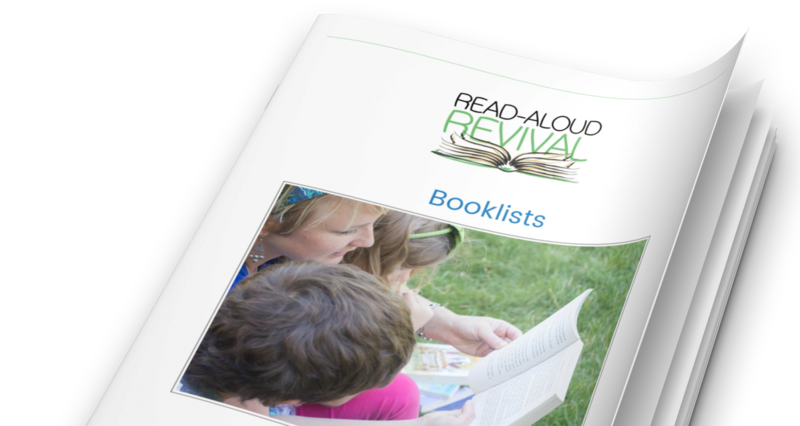 Something I hear about a lot is the struggle it can be to make the transition from picture books to chapter books and novels during read-aloud time. It’s something I’ve struggled with in the past, as well, and I’ve got a few ideas about how to make this as seamless and simple as possible. Sarah mentioned The Baldwin Project, where you can access free Thornton Burgess books. BooksShouldBeFree.com (now known as LoyalBooks) is a great site for accessing Thornton Burgess books along with other classics in the public domain. The Thornton Burgess Animal Book audio is here. One of Sarah’s favorite spots for locating booklists is Center for Lit. In RAR Podcast #2, Sarah interviews Adam Andrews of the Center for Lit about how to engage your children in books. In RAR Podcast #14, Sarah interviews Mystie Winckler about utilizing audiobooks in the home.